Jesper Humlin is a poet of middling acclaim who is saddled by his underwhelming book sales, an exasperated girlfriend, a demanding mother, and a rapidly fading tan. His boy-wonder stockbroker has squandered Humlin’s investments, and his editor, who says he must write a crime novel to survive, begins to pitch and promote the nonexistent book despite Humlin’s emphatic refusals. Then, when he travels to Gothenburg to give a reading, he finds himself thrust into an entirely different world, where names shift, stories overlap, and histories are both deeply secret and in profound need of retelling. Leyla from Iran, Tanya from Russia, and Tea-Bag, who is from Africa but claims to be from Kurdistan (because Kurds might receive preferential treatment as refugees)—these are the shadow girls who become Humlin’s unlikely pupils in impromptu writing workshops. Though he had imagined their stories as fodder for his own book, soon their intertwining lives require him to play a much different role. 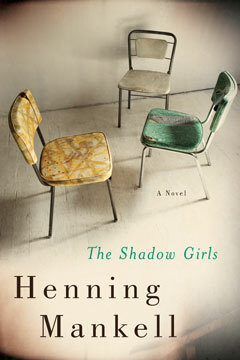 Offering both surprising humor and heartbreaking moments, The Shadow Girls is a triumph that will please longtime fans of Mankell as well as readers new to his work.